The guitar was worn and poorly repainted. A gift from a friend, the instrument was his beater guitar. It would be found resting against any piece of furniture in the house. “Lyle” read the headstock, his hands strummed a blues riff against the sunburst body. 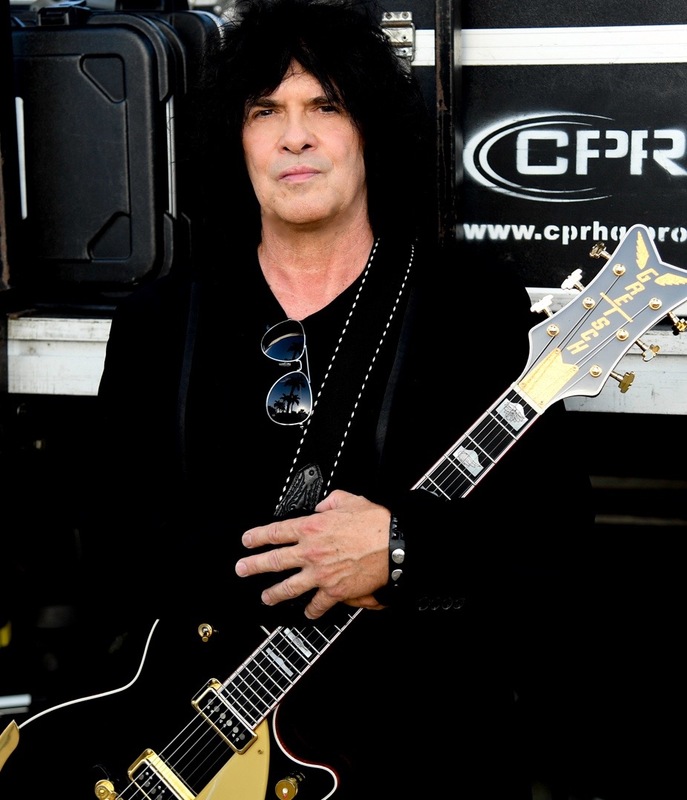 Mike Skill picked up a guitar for the first time at age 13. His over 50 years of experience with the instrument has become second-nature. The Lyle was surely no stranger to him, just like any guitar. Like his first guitar, it played rough and raw. Nothing special, really. Skill’s interest in music germinated in his parent’s car while he listened to the hits of the 50’s on the radio. To and from the skating rink, the music would play. At first, drums were his first interest. The beats of the 50’s and 60’s stood out to Skill as a child and teen. “Rolling Stones’ ‘satisfaction’ came out, I was learning to play beats and I liked the drums in the song,” said Skill. His parents agreed to buy him a drumset and his brother a guitar. He remembers someone convincing him to buy a guitar instead. Skill said it came down to not wanting to carry all the drum equipment around. A guitar was simply portable. The guitar was new, compared to his brother’s used guitar. The strings were tight and the sound was thin. After one summer, Skill set it aside and picked up his brother’s guitar. Nearly deterred, he persisted through another summer and taught himself to play songs. In junior high school, Skill and his friends Frank, Chris, and Charlie, formed a neighborhood band influenced by psychedelic rock (lots of reverb and fuzz tones), “High Tyde,” booking venues at the school dances on the eastside of Detroit. Moving from one band to another, Skill pushed himself further. His free time was consumed with music. Jamming and creating his own music, Skill used to keep his mom and dad awake at night learning songs. Recently graduated, Skill and his friends Bobby East and Jimmy Marinos rented an old store front. The rent: $90 per month, and they could barely scrape it up. Covers filled his current band’s setlists, originals only dotted their performance. Still, the experience of playing a gig proved an important part of Skill’s development as a musician and songwriter. Bandmate Marinos is a close friend of Skill’s. Together they got themselves kicked out of the band. “Hanging with girls too much,” as Skill put it. Together, Marinos and Skill proved a suitable pair of musicianship and creativity. It was this creative power and stubborn determination that lead them to success. During this time, New York City grew as a center for punk and new forms of rock. Most of the country’s radio occupied itself with lightweight California folk and pop. Two polar opposites on each end of the country with Detroit, MI in the dead center. The New York music scene originated in clubs and bars such as “Max’s Kansas City” and “CBGB.” At CBGB (Country, Blue Grass, and Blues), Iggy, Todd Rundgren, Andy Warhol, and countless others hung out. Entertained by the endless wave of music on the stage. “We really wanted to go to New York,” Skill said. New York was motivation. “We knew we could write the same songs or better,” Skill said. Marinos, Skill, and two others formed the “Motor City Rockers,” hailing from Detroit, the Motor City itself. They called up CBGB, then run by Hilly Kristal, and booked a gig. They were off. “The dressing room was a bathroom and the bathroom for the owner’s dog,” Skill said. The gig at CBGB was successful, despite the conditions, and contributed to Skill’s abilities like a job on a resume. He was one show more experienced than the rest. Though the Motor City Rockers split apart shortly after, Marinos and Skill were motivated once more. From there, Skill’s musical career progressed rather rapidly. He and Marinos recruited Wally Palmar on rhythm guitar and Rich Cole on bass, all sang lead vocals. “That’s what started the ball rolling for the Romantics,” Skill said. Legend has it, at least in the music world, “The Romantics” formed and played their first show on Valentine's Day of 1977. The band “was always creating new music,” writing originals inspired by the group they grew up listening to in the early days of their career. The four were signed to Nemperor Records with Nat Weiss and released their first album by the name of “The Romantics.” One of Skill’s most notable songs, “What I Like About You,” was on the album. The band toured continually with groups like “Cheap Trick” and “The Ramones.” Their venues included the “Peppermint Lounge” and “Danceteria” in New York City and “The Rathskeller” (The Rat, for short) in Boston. “The shows were getting bigger as the songs climbed the charts,” Skill said. Their songs, “When I Look in Your Eyes,” “Tell it to Carrie,” and, of course, “What I Like About You,” were among the most popular, with “What I Like…” reaching #47 on the charts. A sizeable accomplishment for four Detroit musicians. After recording and writing the second record, Skill was fired from the band. Always pushing for a raw and edgy sound in contrary to the uniform suits look, he also question the management’s handling of finances and royalties. Meanwhile, the remaining Romantics released their third album. It was less than a success. Shortly after, Skill returned to the band, and focused on songwriting. Skill came up with the idea and everyone built upon it. From that came their fourth album, “In Heat” featuring “Talking in Your Sleep,” which reached #2 on the charts. The Romantics still tour today, with three of the original members: Palmar, Cole and Skill, accompanied by their drummer, Brad Elvis.